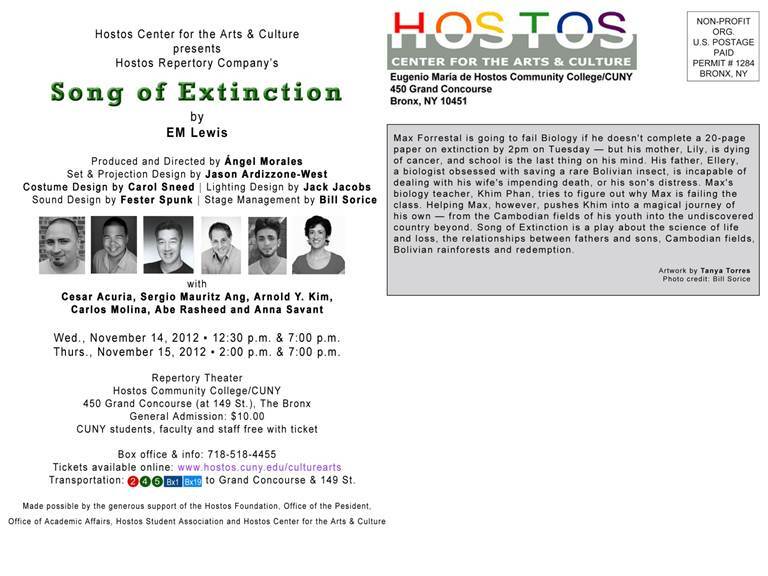 Song of Extinction at Hostos College! 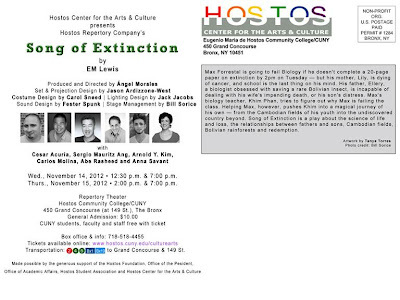 I'm very pleased that my play "Song of Extinction" is going to be performed on November 14th and 15th by Hostos Rep at CUNY Hostos College in the Bronx. The play has also been named Book-of-the-Semester -- more than 900 students at Hostos will be reading and discussing the play. I'll be attending the evening performance on November 15th and doing a talk-back, and also participating in some of the interdisciplinary events that are planned throughout the semester. A big thank you to Professor Morales for directing this production, and to Professor Robert Cohen, who coordinates the Book of the Semester project. Hostos Humanities Professor Ángel Morales, who earned an M.A. in Educational Theatre from New York University, has been the Artistic Director of the Hostos Repertory Theater (Hostos Rep) since 2007. Under his leadership, the Hostos Rep also produced Borinquen Vive en El Barrio by Tere Martínez, which played in the 2008 installment of TeatroStageFest. 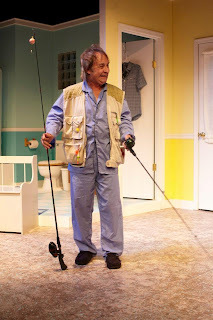 In 2010, the company staged the English/Spanish production of Virgilio Piñera’s Siempre se olvida algo (You Always Forget Something), for which they won four HOLA awards and two ACE awards. In 2011, the Hostos Rep was one of only five university-based companies, as well as the only one from a community college, invited to participate in the northeast regional competition of the Kennedy Center’s American College Theater Festival. The troupe presented Peter Sinn Nachtrieb’s production of boom!, and cast member Abe Rasheed was a finalist in the festival’s individual category. Morales added that Hostos students and faculty would be able to take advantage of the play’s diverse intellectual subject matter and participate in several post-performance discussions. Song of Extinction is also the fall selection for Hostos Community College’s “Book of the Semester” project. The “Book of the Semester” project is an interdisciplinary initiative to inspire students to read and develop critical thinking skills. 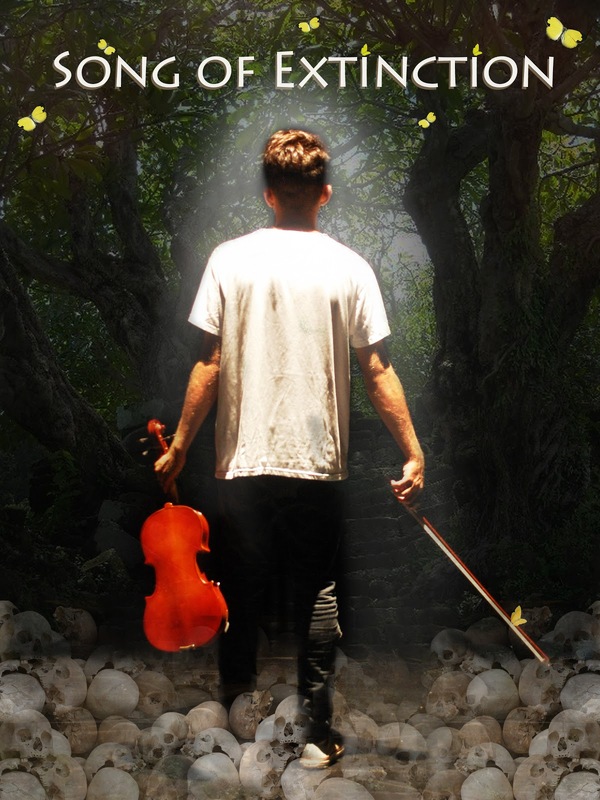 With Song of Extinction, the themes that will be analyzed include literature, history, education, science, and music. 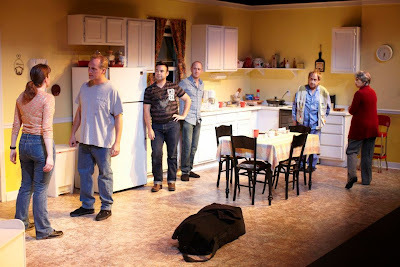 The cast of the Hostos production includes award-winning Hostos student Abe Rasheed in the role of Max, Vice President Carlos Molina of the college’s Division of Continuing Education and Workforce Development, Hostos student César Acuria, and Hostos alumnus Sergio Mauritz Ang. Also in the cast are actors Arnold Kim and Anna Savant. 12:30 p.m. and 7:00 p.m. 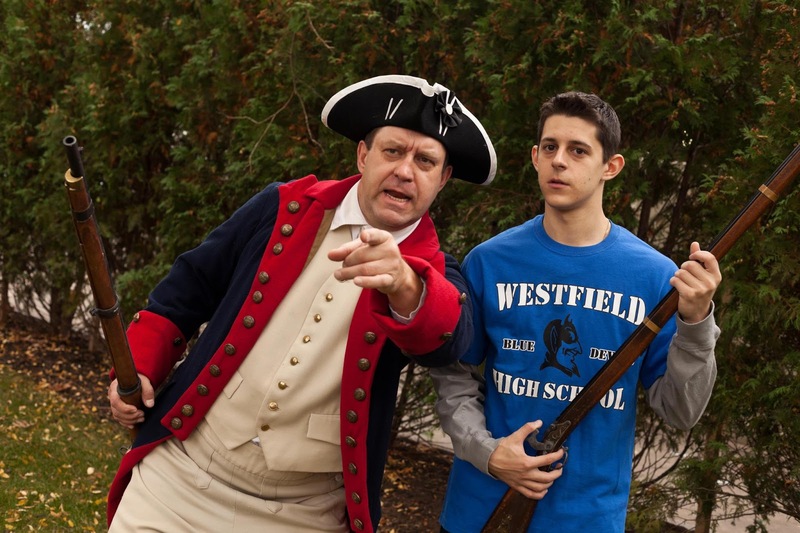 The family-friendly history play I was commissioned to write for Premiere Stages' Liberty Live initiative was supposed to be performed at the Liberty Hall Museum on the Kean University Campus November 1-4. But the weather had other plans! Hurricane Sandy hit New Jersey and New York with devastating force, shutting down schools, businesses, transportation lines and power. The show has been postponed indefinitely. 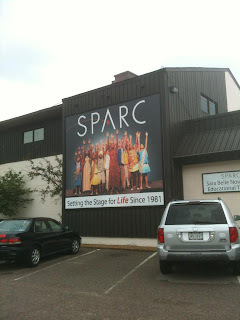 We had begun rehearsals, but hadn't yet reached load-in or tech rehearsals. We all hope that it will have a life, once the lights come back on! "Talking to Westfield" by EM Lewis. Liberty Live Initiative at Premiere Stages. 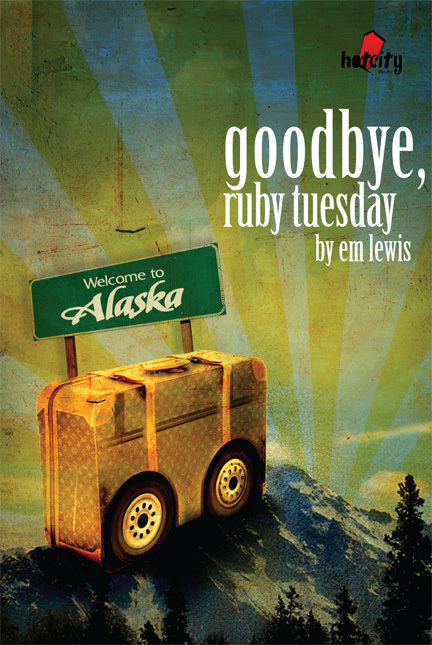 Congratulations to Everett and Sexton High Schools in Lansing, Michigan, where director Jim Allen produced nine of my short plays with his student actors. Hope you had fun with the plays! 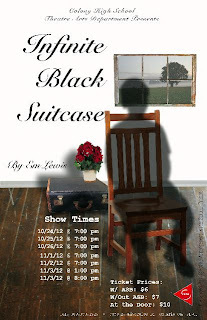 Congratulations to Colony High School in Ontario, CA for their production of "Infinite Black Suitcase!" at Colony High School in Ontario, CA. 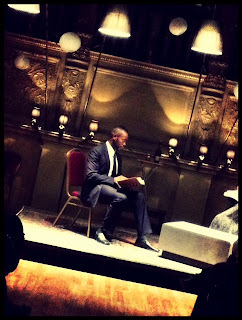 Having fun as Host Playwright of ANPF 2012! 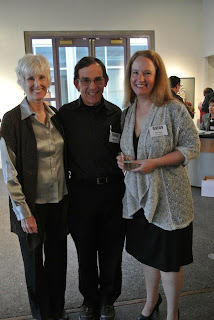 The 2012 Ashland New Plays Festival kicked off with a beautiful gala at the Art Museum on October 22, celebrating the festival's 20th anniversary. 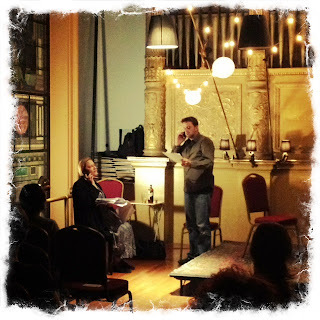 It was a fantastic week of play readings and talk-backs, theater talks, and playwriting workshops. 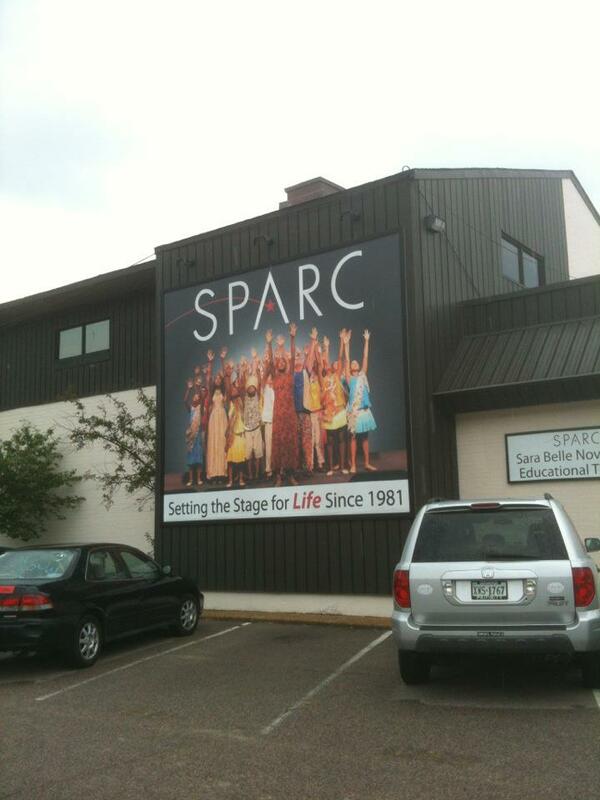 I was so glad to return for my third year as Host Playwright! The week was hosted by dozens of volunteers, led by the festival's Artistic Director, Doug Rowe, and Board President Gray McKee. 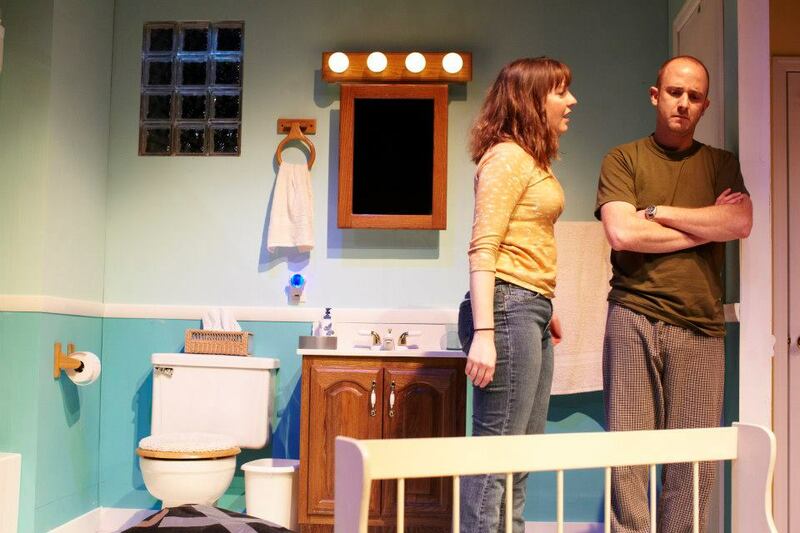 Three of this year's playwrights were from New York City, and one was from San Francisco. We had a delightful time getting to know each other during our week in Ashland! The directors and actors were fantastic. 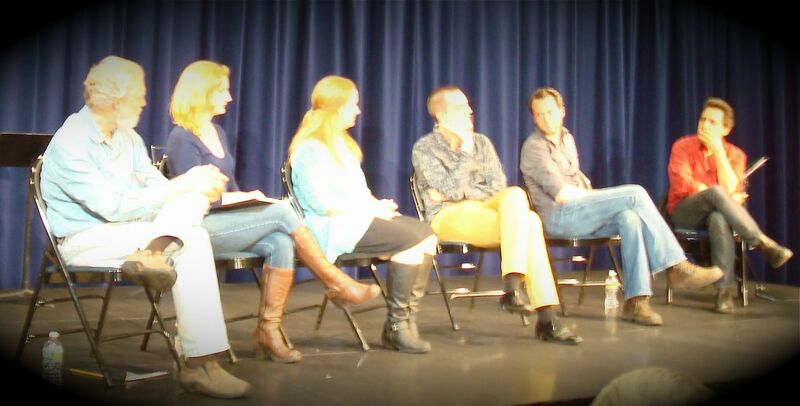 Ashland audiences always provide the best talk-back conversations, and this year was no exception. 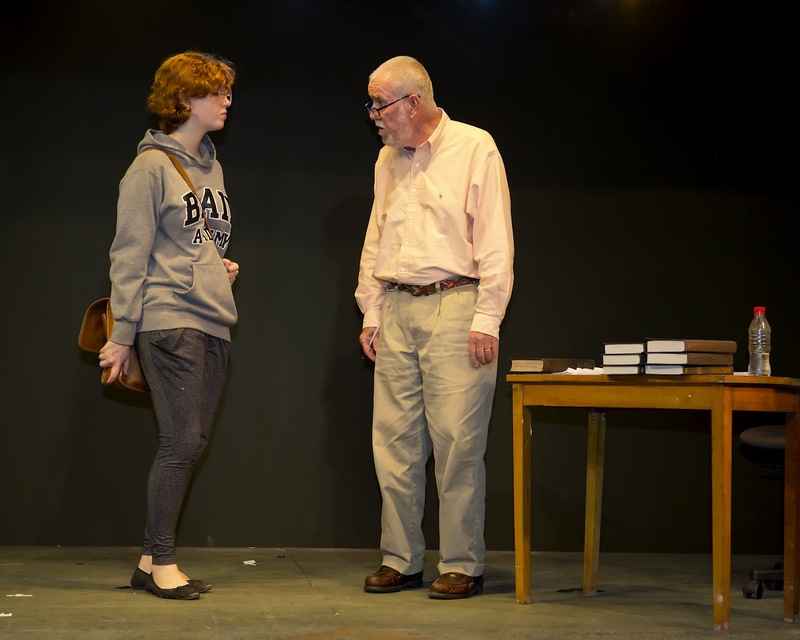 The playwrights had given us much to discuss, with plays on topics ranging from politics and religion and the implications of social media and technology to financial misdeeds and the perils of success in the art world. I enjoyed teaching a three hour playwriting workshop on Friday with local writers. On Saturday morning, Cary, Josh and Suzanne offered a second workshop, allowing local writers the opportunity to ask them questions about everything from the craft of writing plays to how to market your work. Local Bed and Breakfasts hosted the playwrights, and other local businesses opened their doors to us as well, including local cafes that offered coffee and the official drinking establishment we attended each night, appropriately named "The Playwright." I was also able to see several shows at the world-class Oregon Shakespeare Festival! I cried at "Romeo and Juliet," and am still thinking about "Troilus & Cressida" and "Medea/MacBeth/Cinderella." It's always so wonderful to see everyone who makes this festival happen each year. Thanks for another great ANPF, my friends! 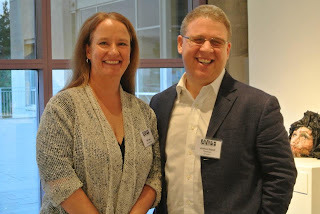 Me and playwright Josh Rebell at the ANPF 2012 Gala. Carol, ANPF Board President Gray McKee and host playwright EM Lewis. 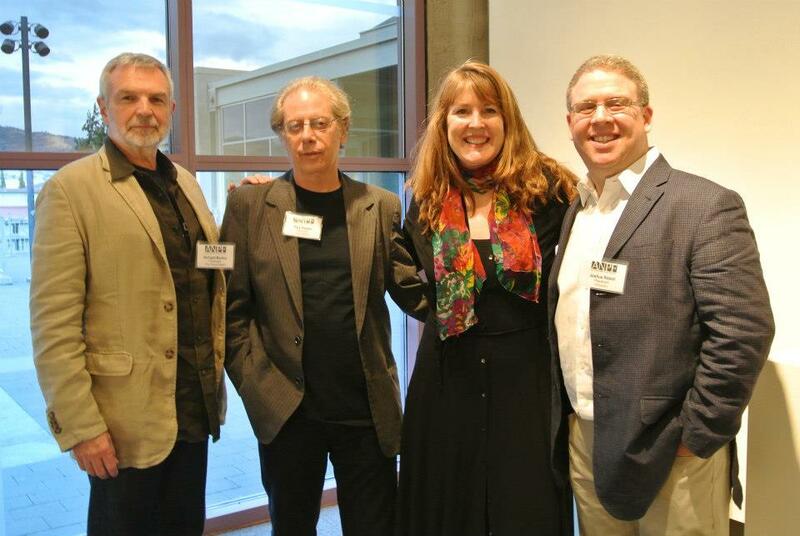 Richard Manley, Cary Pepper, Suzanne Bradbeer and Joshua Rebell. All photos by ANPF's fantastic marketing director, Elizabeth von Radics! Harold Hynick directed a production of my play "Heads" at Missouri Valley College in Marshall, MO where he teaches. I'm very glad that my plays are finding homes not only in traditional theaters, but also in university theaters and classrooms! 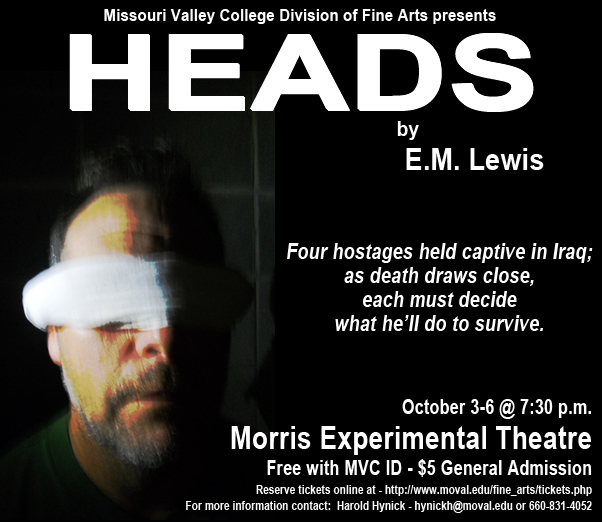 The Heads cast featured: Thomas Waller (Sedalia, Mo.) 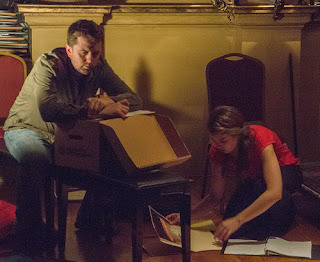 as Harold Wolfe, the American Engineer; Samantha Hill (Greenwood, Mo.) as Caroline Conway, the British Embassy worker; Matthew Ford (Camdenton, Mo.) as Michael Aprés, the network journalist; and Joshua Tag (Redmond, Wash.) as Jack Velazquez, the freelance photographer. The production was directed by MVC Assistant Professor of Theatre Harold Hynick. 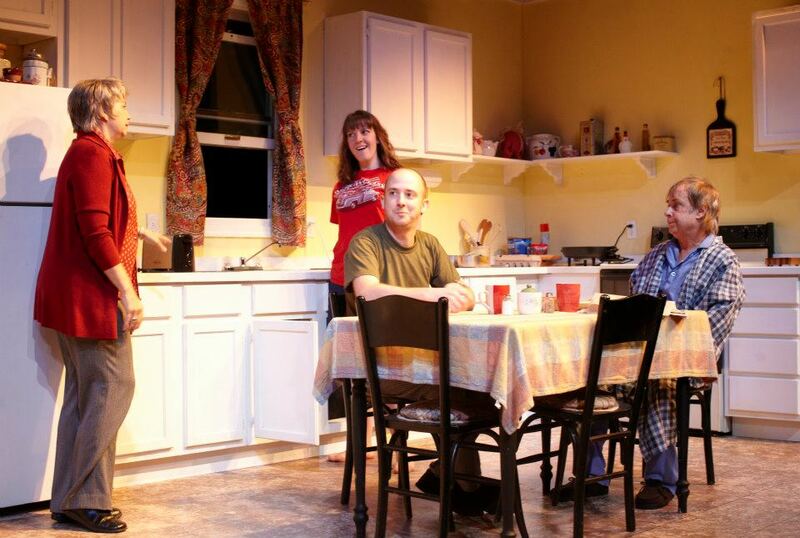 This production featured lighting design by MVC Senior Theatre Major Catie Combs (Blue Springs, Mo. ), scenic and sound design by MVC Associate Professor of Theatre Jay Rozema, and costume design by Dyann Rozema. The play was stage managed by MVC Senior Theatre Major Crystal Mann (Marshall, Mo.). The assistant stage manager was MVC Freshman Theatre Major Jessie Carpenter (Oak Grove, Mo.). 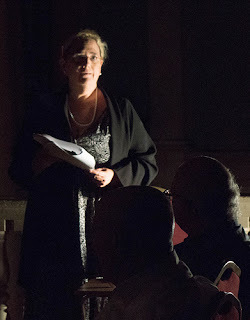 A big thank you to Lynne Elson and her new NOW Theater Company for including my play "Heads" in her new reading series at the West Windsor Arts Council in Princeton Junction, NJ. I love the opportunity to work locally, and with such great people! 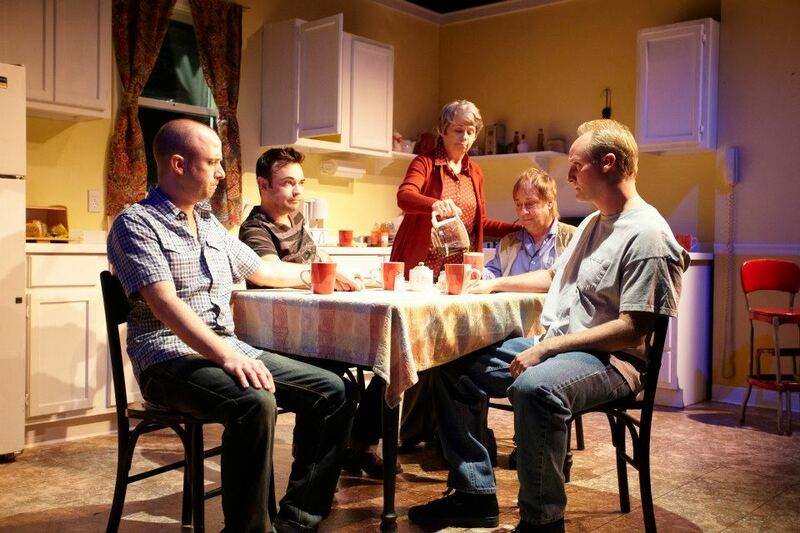 The series also features new plays by Ian August, Jim Christy and Elson herself. 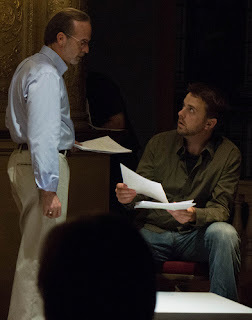 My playwright/director friend and colleague David Hilder directed for me. What a pleasure, always, to work with him! And we had a great cast! 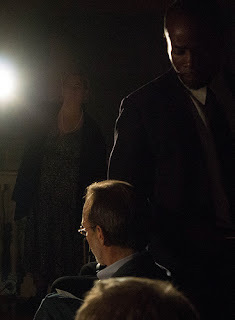 New Jersey actors Chris Coucill as American engineer Harold Wolfe, and Eric Rolland as photojournalist Jack Velazquez, and New York actors Christian Conn as network journalist Michael Apres, and Thia Stephan as British embassy worker Caroline Conway. I'm particularly fond of this play, which is a fictional story about four civilians who are taken hostage in the early years of the war in Iraq. It was nice to have the chance to spend some time with these characters again. Like seeing old friends again. I'm pleased to be a semi-finalist for Page 73's 2013 Development Programs. This is a great group in New York City that supports playwrights and the development of new work. I really hope that they have a place for me in one of their programs next year. More information about this year's list of semi-finalists HERE. Founded in 1997, Page 73 Productions has made a name for itself as a home for the development and production of new work by early-career playwrights. We seek out untried playwrights who are yet to be produced and recognized in New York City and usher their work from first draft to production-ready script. Page 73′s developmental programs are carefully designed to give early-career playwrights the tools and resources to ready their work for production opportunities. Our mission is to offer a crucial steppingstone at a critical, early point in a writer’s career. Each year, Page 73 offers five primary programs to early-career playwrights: a New York City or world premiere production of a new play by an emerging playwright; the year-long P73 Playwriting Fellowship which provides cash, development and career support to one writer annually; a week-long summer residency program on the Yale University campus to four playwrights; Interstate 73, a writing group that consists of six to eight playwrights; and the Page 2 workshop, offering extensive rehearsals and design support to a play in development. 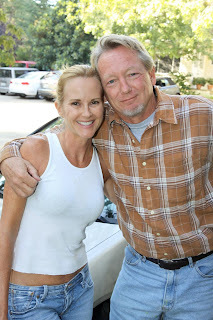 between our two "Apple Season" actors, Rebecca Staab and John Walcutt. A big thank you to co-artistic director Michael Gross for including a reading of my play "Apple Season" in his kick-off event for PlayFest Santa Barbara. This brand new festival is going to be an exciting celebration of new work, and I was delighted to be involved! I wish I could have been there myself. "Apple Season" is set in my home state of Oregon. It's a ten-minute play that I'm now working to turn into a full-length two-hander. at the PlayFest Santa Barbara Kick-Off Party. "Apple Season" by EM Lewis. 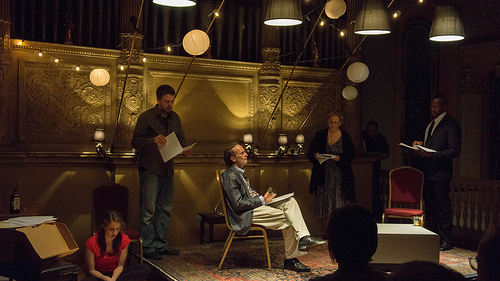 The beautiful choir balcony theater at Judson Memorial Chuch, where Flux Theater Ensemble produced a staged reading of my new play "If I Did This." Here, the saints in the windows are overseeing tech, as director Pete Boisvert talks with the actors playing Miriam Lawrence and Hal Walker. Photo by Alisha Spielmann. I had a great time with Flux Theater Ensemble last week, working with them on a staged reading of my new play "If I Did This" at their Food:Soul event. A potluck dinner, followed by a reading of a new play, followed by cake. What could be better than that? The evening was well-documented by two fantastic Flux photographers. In a previous post, there were pictures by Ken Glickfeld that really told the story of the play. I love this new batch by Alisha Spielmann, too! They are very stylized -- which kind of matches the noirish feeling of the play. They also make the beautiful location pop -- we were in the choir balcony at Judson Memorial Church, cradle of the off-off-Broadway theater movement. 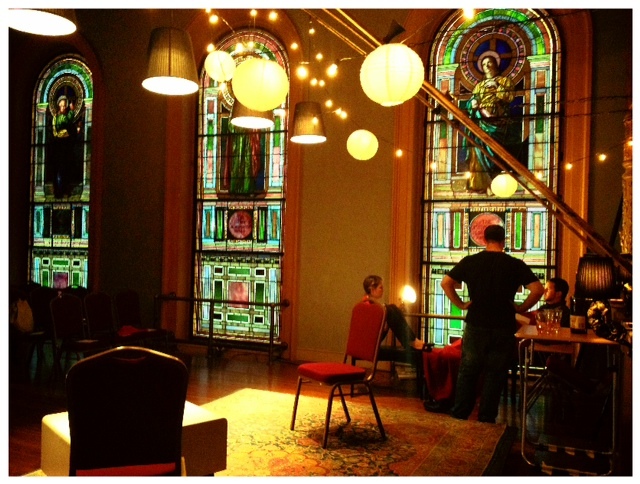 Her photos capture the beautiful church windows and organ pipes, as well as the drama below. Check them out here! Editor Brett Martin and mystery writer Hal Walker discuss how his new ghostwriting job is going. Hal Walker drinks a little. I finished the first draft of a new play a few months ago, just in time to work on it with my fantastic director friend David Hilder and a most wonderful cast at Passage Theater in Trenton, where I attend the Playwriting Lab. Since then, I've been tinkering with it a bit, but haven't been sure, yet, what it's really made of. I've been attending Flux Sundays at FTE for more than a year, now -- their Sunday afternoon theatrical "work-outs" with playwrights, directors and actors -- and enjoying the opportunity to see their fierce productions. And I was very pleased when I received an e-mail from Matt Archambault at Flux, asking if I'd like to workshop that play I'd been bringing in pieces of over the last few months. I leapt at the opportunity! There's nothing like working with a great bunch of actors over a couple weeks of rehearsal to figure out how a play is working. Actors and directors ask great questions as they're trying to figure out how to make a play work. 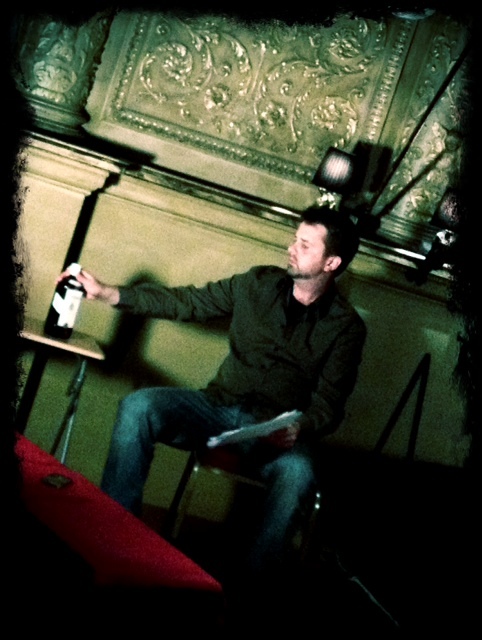 We had our first read-through on Monday, and will continue rehearsals next week. 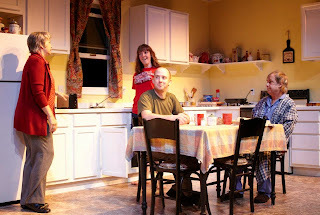 The process will culminate in a potluck and staged reading of the play. Big thanks to Matt, FTE Artistic Director Gus Schulenberg, and director Pete Boisvert for putting this whole thing together! A Staged Reading of "If I Did This"
For more information about this reading, visit the FTE Blog. For more information about the company and their Food:Soul play development workshops, visit the FTE Website. 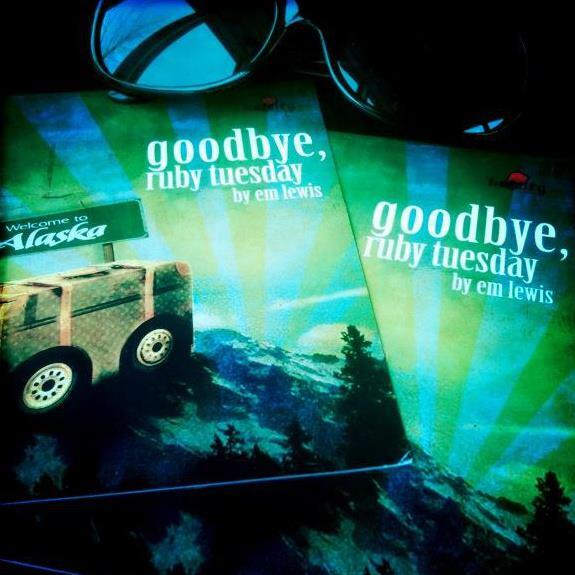 I'm heading to St. Louis this weekend for the first read-through and first rehearsals of my play "Goodbye, Ruby Tuesday" at HotCity Theater in St. Louis. 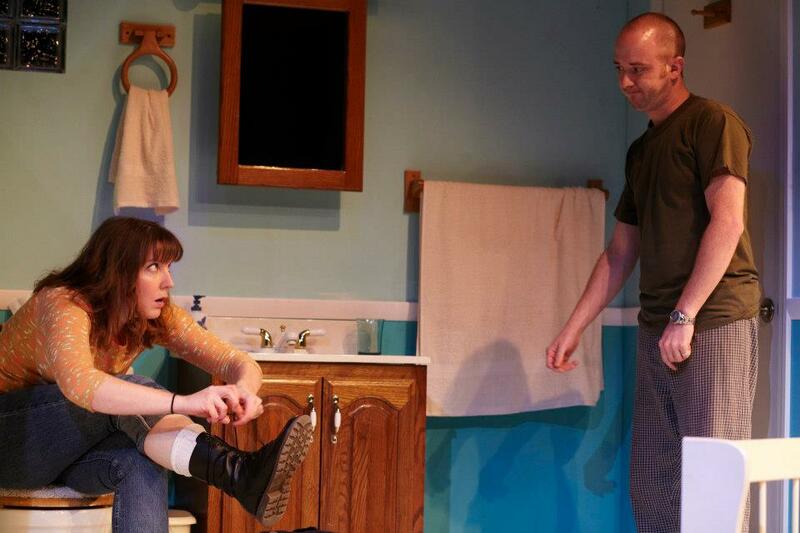 The play was one of three finalists in HotCity's Greenhouse Festival in the fall, alongside plays by the talented Gino Dilorio and Christopher Wall. 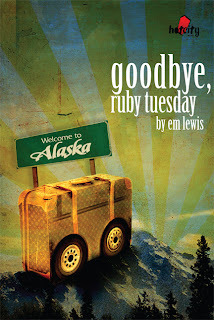 I'm delighted that HotCity decided to produce the world premiere of "Goodbye, Ruby Tuesday." And I'm so pleased that they're bringing me out this weekend to meet with the director and actors, do one last look at the script, and nudge this baby chick of a play out of the nest! 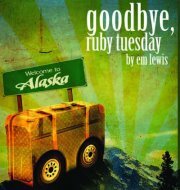 For more information on the world premiere of "Goodbye, Ruby Tuesday," visit the HotCity webpage! In one hour, Lynn is going to climb onto a Greyhound bus, leaving her home, her husband, her job and her family behind to work on a commercial fishing boat in Alaska; her family has decided that they'll do anything to make her stay. "Goodbye, Ruby Tuesday" is a comedy about trying to explain why you have to go find yourself to people who don't want anything to change. This summer is turning into the busiest time ever! 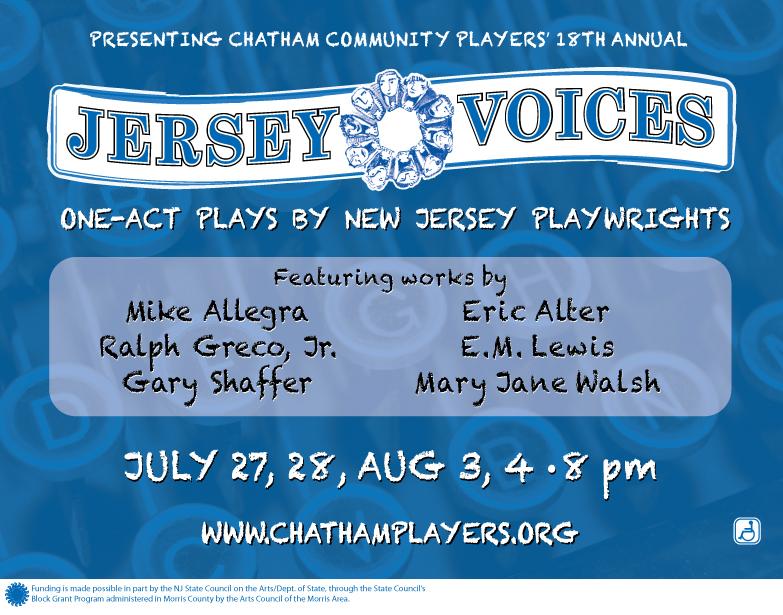 Up next is the five-character version of "The Incident Report" in Jersey Voices at Chatham Community Players. 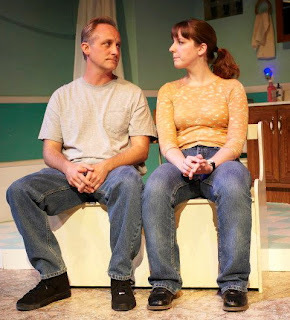 I've been actively pursuing opportunities here in my new state of New Jersey, and am delighted to have had this short play picked up at an annual event that showcases Garden State playwrights. Why the five-character version? Well... an accident of the submitting process, actually! "The Incident Report" is about an aviation safety investigator who is trying to determine what went wrong on a flight where things went very, very wrong -- and who's responsible. It has gone through a variety of iterations, some that moved through time in various ways, some that had three characters and some that had five. Ultimately, the version that was produced in an evening of my short plays at Moving Arts in Los Angeles, and subsequently made the finals of the Samuel French Off-Off-Broadway Short Play Festival in New York City, was the linear three character version. 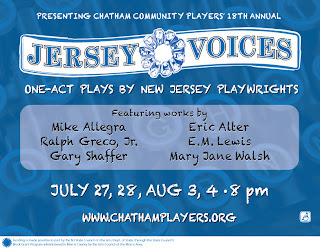 When I submitted the play to Jersey Voices, though, through the magic of e-mail submission, I accidentally attached a different draft. I gave the theater the other version when I realized my mistake, but they really liked the five character version, which brings the action that happened on the plane right up on stage in three bloody dimensions. And I have to say, I"m excited! How often do we have the chance to see different versions of the same play fully produced, to see what works best in each? I'm looking forward to attending. If you're in New Jersey, I hope you'll check it out! More information and ticketing are available through the Chatham Community Players website. 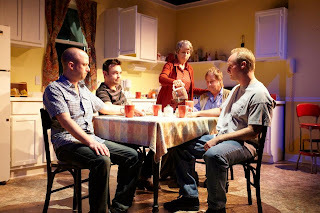 "The Incident Report" is directed by Chris Messineo of New Providence, and features Brian Carroll, Jeff Maschi, Chip Prestera, Jim Clancy, and Jessica Phelan. 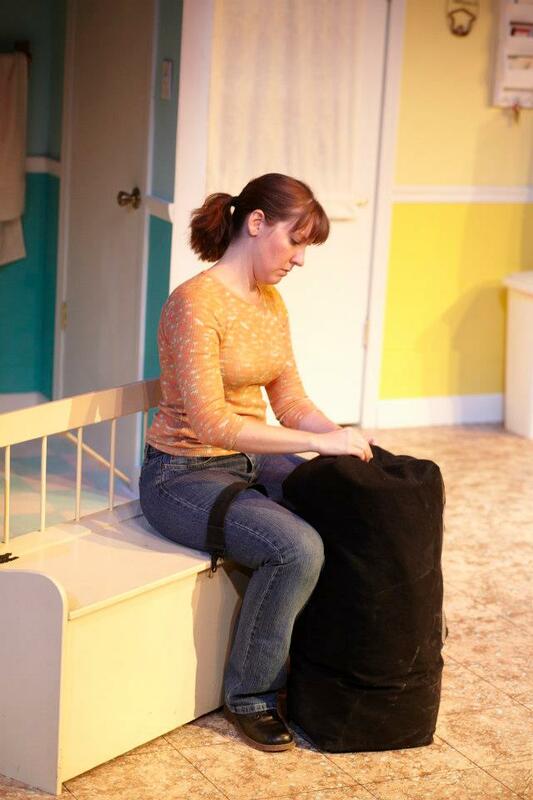 "Apple Season" by EM Lewis in the 2012 6 Women Playwriting Festival. Actress Joye Levy. 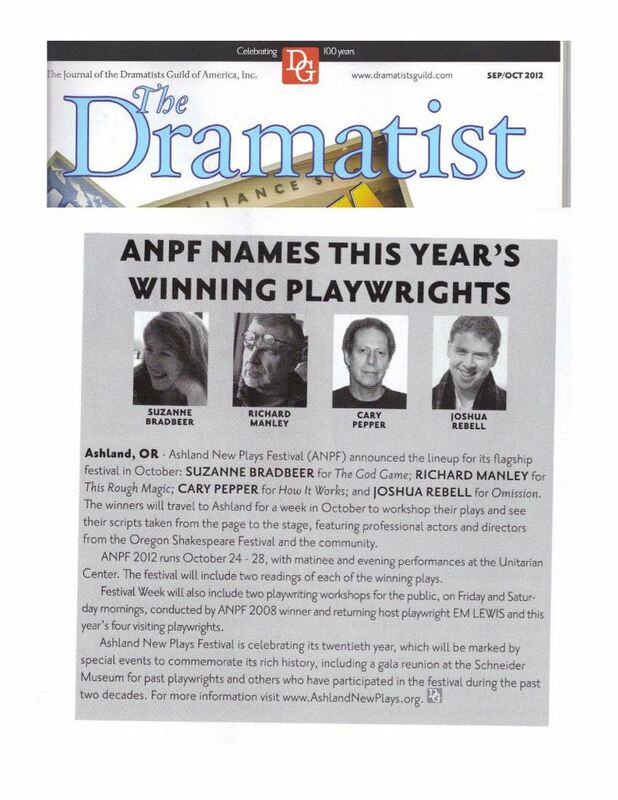 I was delighted when I received the call from the 6 Women Playwriting Festival that they wanted to include my 10-minute play "Apple Season" in this year's event. When I found out that my pals Babs Lindsay from Seattle, WA and Maureen Brady Johnson from Oberlin, OH had plays in the festival too, I knew I had to go. Playwrights Babs Lindsay, EM Lewis and Maureen Brady Johnson. On our way to the Six Women Playwriting Festival in Colorado Springs! Babs, Maureen and I coordinated our arrival at Denver Airport, rented a car together, and zipped out to Colorado Springs. 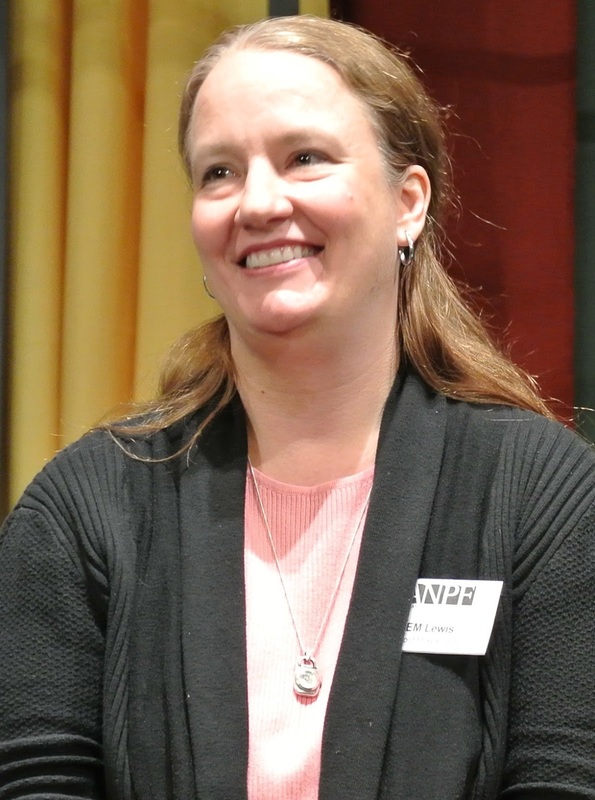 The women who produce the 6 Women Playwriting Festival could not have been warmer. They put us up in the home of one of their board members, and had arranged a lovely reception, a beautiful brunch, a cast party, and talk-backs after two performances. The three of us met two of the other playwrights there -- Cricket Daniel from Bend, OR and Margo Hammond from Newark, NJ. We also had plenty of time to chat with our directors and actors. I'd written "Apple Season" on a prompt from Jennie Webb, who coordinates the Botanicum Seedlings new play program at Theatricum Botanicum in Topanga Canyon, CA. During the summers, Theatricum Botanicum produces classical works (for the most part) on their gorgeous outdoor stage. But the Seedlings program guarantees their engagement with new work as well. They did a reading of my play "Reading to Vegetables" a few years ago, and I've also talked a lot with Jennie from her work with the LAFPI -- (that's the Los Angeles Female Playwrights Initiative, if you're wondering!). Just before I left for New Jersey, Jennie asked me if I'd like to write a ten-minute play on the theme of "backyard fruit" for a reading festival they wanted to do during the summer. I had no idea what that prompt would prompt in me, but I said absolutely. I knew something would occur! I ended up spending the summer between leaving Los Angeles and moving to Princeton back on my family's farm in Oregon. Because I could! Because I wanted to. How often as an adult do you get to spend a few solid months during the glorious Oregon summer, when everything is growing in the gardens and orchards, back with your much-loved family? It was certainly an inspiration as I sat down with my little laptop to write a play on the subject of backyard fruit. For inspiration, I ate raspberries, logan berries, boysen berries, marion berries, blackberries (wild and domestic), gooseberries, blueberries, peaches, apples and plums. (Have I mentioned how much I love our farm in the summertime?) I ended up writing a play that is set in the world I grew up in -- on a small farm in rural Oregon. It turned out a bit darker than I expected it to be. The characters surprised me with where they took things. 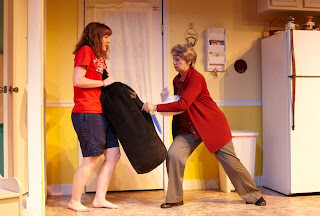 "Apple Season" by EM Lewis, directed by Birgitta de Pree, in the 2012 Six Women Playwriting Festival in Colorado Springs, CO. Actors Anthony Archer and Joye Levy. At the 6 Women Playwriting Festival, "Apple Season" was directed by Birgitta de Pree, and featured actors Joye Levy and Anthony Archer. Here's the synopsis: Will is interested in buying the farm that Lissie inherited from her folks, but he hadn't bargained on her asking price. 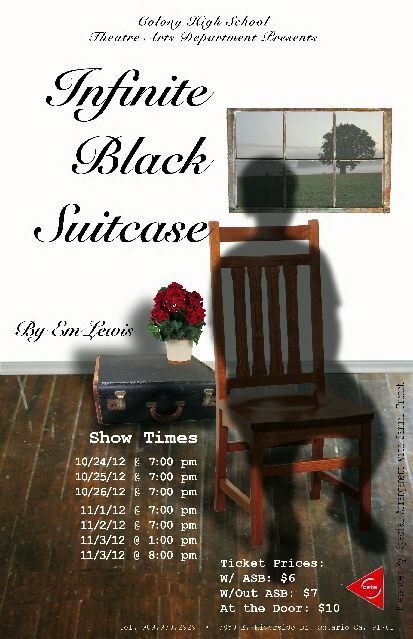 If you'd like to watch the play in its entirety, you can! The festival filmed each play, and they're available here. Me and my cast at the cast party! 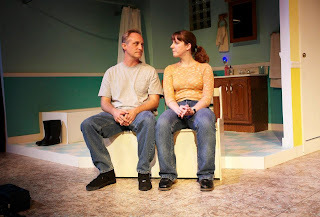 "...the best short play I’ve ever seen on that stage: “Apple Season,” which was written by E.M. Lewis and directed by Birgitta De Pree, is worth the cost of admission all on its own. Haunting. Poetic. And genuinely unexpected. 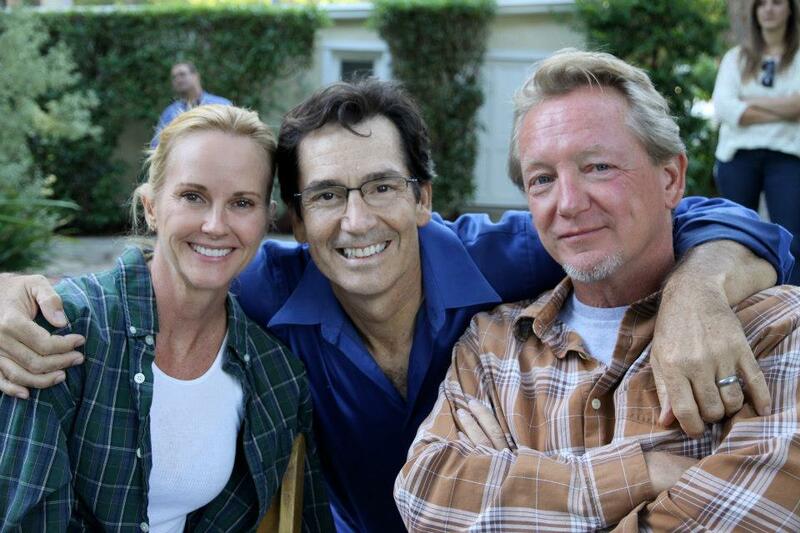 It’s a story as simple as this: Lissie (Joye Levy) must deal with a death. Seen it, you might say. But Lewis unreels a nuanced story in poetic little pieces. Some spell things out, sure, but others rely on your own ability to put two and two together. Director De Pree takes her time with Lewis’ story, allowing silences to say as much as Lewis’ heartland dialogue. Levy and Tony Archer, who plays Will, know what to do with it all. 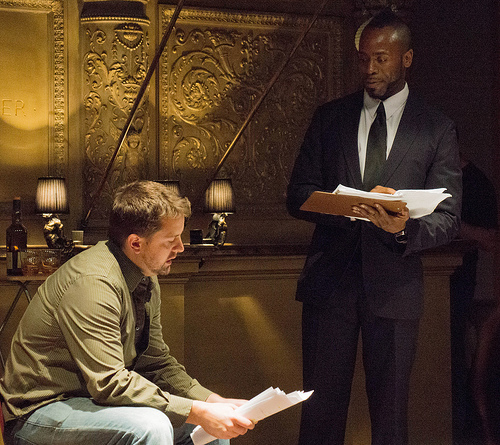 Both offer deeply memorable performances. Levy was powerfully honest and human — in what she shows and perhaps more important, in what she doesn’t." A big thank you to the more than 6 Women (and men!) 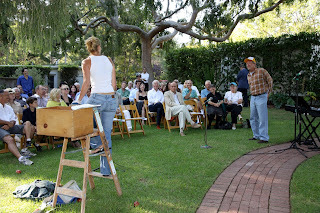 who so graciously welcomed us playwrights to their community. It was lovely meeting you! And you've inspired me. Since I returned home, I've been working to turn "Apple Season" into a full-length two-hander. We'll see where the characters want to take me now!